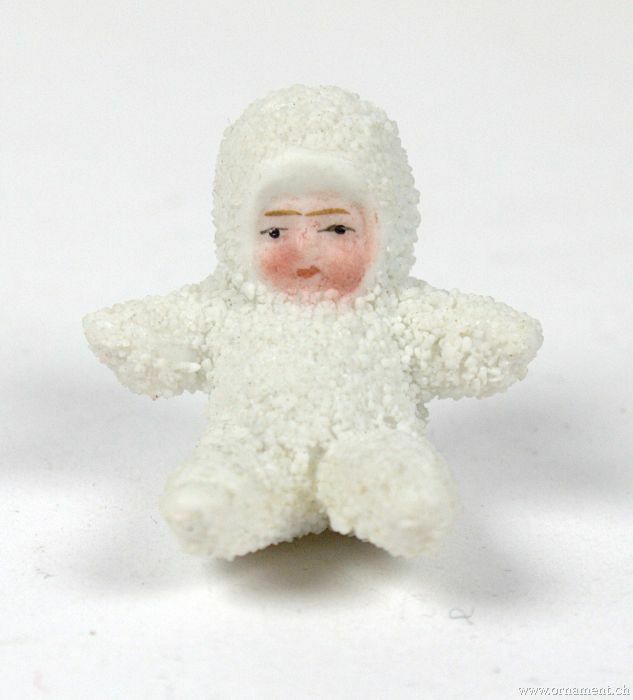 Snow Babies are small bisque figures of children, dressed in one way or another, for Winter. 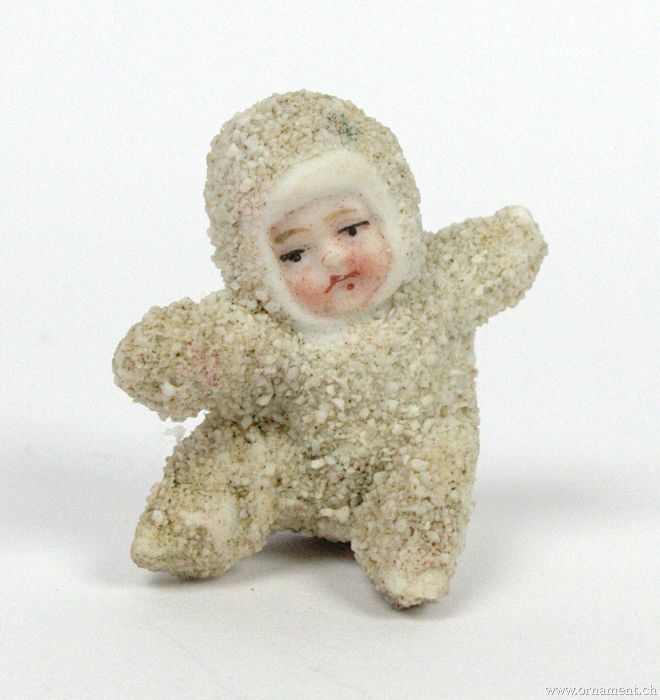 There are two theories that relate to the origin of Snow Babies. 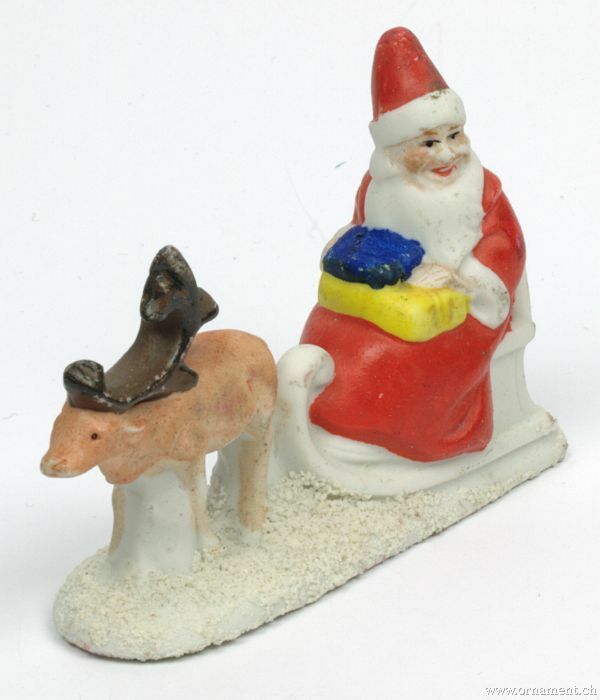 The first has it that the Victorian tradition of decorating Christmas trees with confectionary ornaments (figural, quite often), evolved into these charming bisque figurines dressed in snow suits. The other theory involves US Admiral Robert Peary and his Arctic explorations. 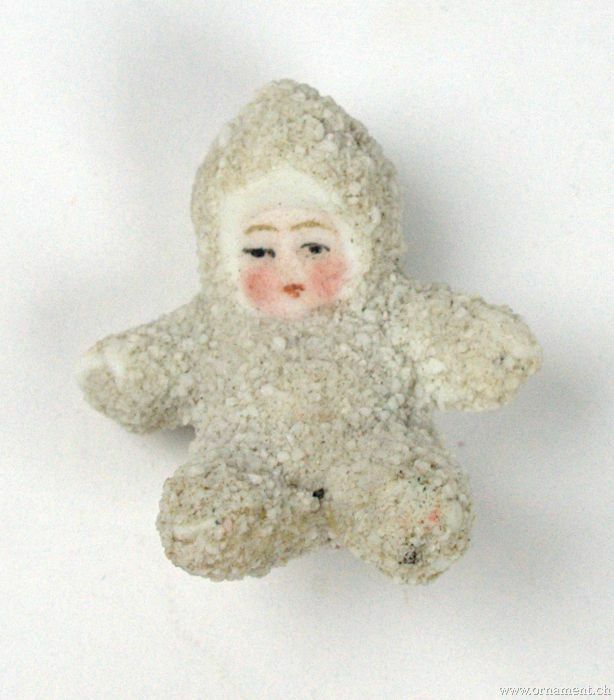 In 1893, while on an expedition to Greenland, Peary's wife, Josephine, gave birth to a daughter, Marie Ahnighito Peary. Peary's expedition which proves that Greenland was an island, was followed world-wide. 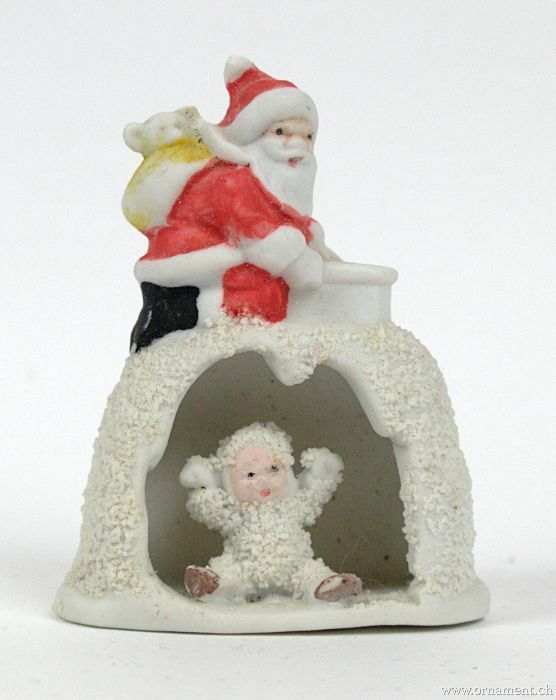 When news of the birth of Marie reached the outside, she became known as The Snow Baby. Indeed, Josephine Peary, a writer, wrote a book by that title, which was published in 1901.